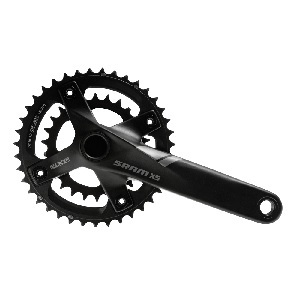 We keep the X5 and X9 cranks in stock. They include arms, 22/36 rings and BB. X5 are £130 and X9 £240. Right good and perfect for your 170 or 135mm offset fatbike.